The report of a domestic dispute on the north-side of Jasper lead the arrest of a man for violating an out of state protective order. Around 9:30 am yesterday, officers with the Jasper Police Department were called to an apartment located along the 400 block of Kirkwood Drive to the domestic disturbance report. While at the scene, officers determined that the female subject had a no contact order through the state of Washington; stating 51-year old John Hemmer of Jasper was to have no contact with the female. 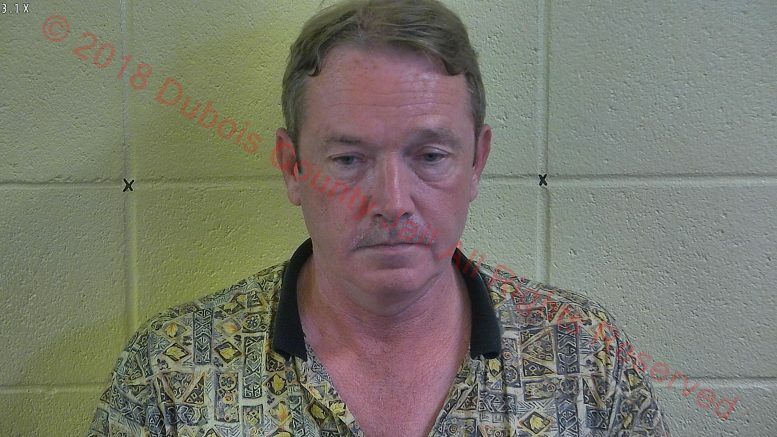 Hemmer was taken into custody and lodged into the Dubois County Security Center on a charge of Invasion of Privacy. Be the first to comment on "INVASION OF PRIVACY ARREST"